Miss Kayla Marie Willard, 22, of East Bend passed away Friday, April 12, 2019 at Forsyth Medical Center. 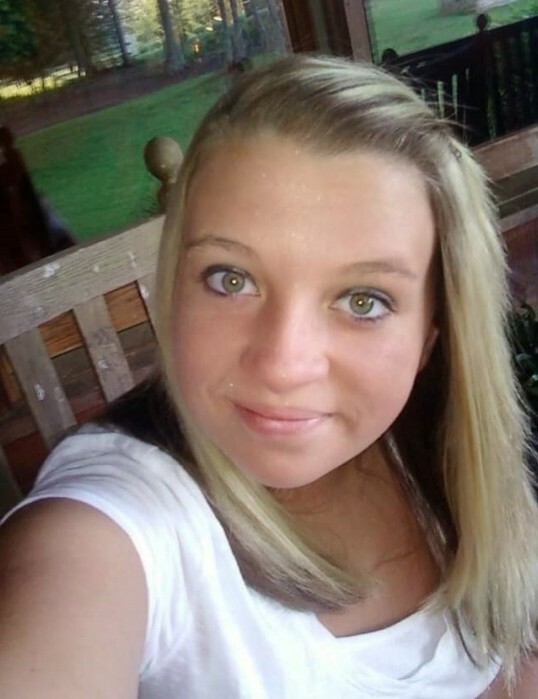 She was born October 16, 1996 in Forsyth County to Kenneth Roy and Sandra Mitchell Willard. Miss Willard was of the Baptist faith. She was a 2015 graduate of Forbush High School where she was a cheerleader and a member of the Hunter Safety Shooting Team. She had a magnetic personality and never met a stranger. She was loved by many and will be missed by all who knew her. She was preceded in death by her paternal grandparents, Kenneth R. and Shelby Willard and her aunt, Robin Jones. In addition to her parents, Ken and Sandy Willard of East Bend, she is survived by her son, Jaxton Caden-Roy; brother, Brandon Willard of East Bend; her maternal grandparents, Bobby and Nancy Mitchell of Rural Hall; several aunts and uncles and a multitude of cousins. A memorial service will be conducted Tuesday, April 16, 2019 at 7:00 PM at Hayworth-Miller Lewisville Chapel with Rev. Kenny Gooden officiating. The family will receive friends prior to the service from 5:00 PM until 6:45 PM at the funeral home. Memorials may be made to Ken and Sandy Willard for Kayla’s precious son, baby Jaxton. Online condolences may be made at www.hayworth-miller.com.